Jean-François Renaud and Simon Lamarche, co-founded Adviso, a digital consulting firm. Established over 10 years ago in Montréal, Canada, Adviso helps their clients manage digital assets such as campaigns, websites, and data projects. Initially, Adviso used spreadsheets to manage their client projects and track day-to-day operational data. But as their client portfolio grew, Jean-François and Simon had to make a software decision in order to efficiently run their business. In their efforts to find the right solution for their business, Simon and Jean-François looked from ERP tools to open-source frameworks. The search for a solution, that provided Adviso with enough flexibility to build applications in a database framework, ended with Zoho Creator. “I think the big difference with Zoho Creator versus the other applications is that it’s customizable.,” says Jean-François. 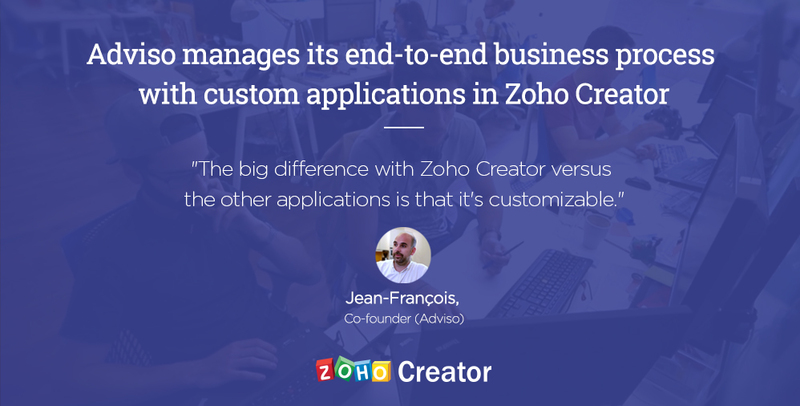 Simon and Jean-François were impressed with the flexibility offered by Zoho Creator, which enabled them to create applications specific to client requirements. Zoho Creator not only fulfilled Adviso’s customization requirements, it also helped them quickly set up their clients’ solutions. Moreover, Zoho Creator’s seamless integration with other Zoho products solved Adviso’s long-standing problem of sending real-time surveys and reports to its clients. 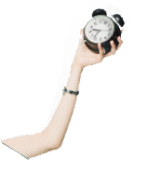 Ready to use Zoho Creator? 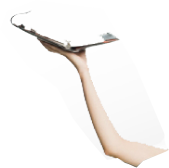 Are you ready to transform your business like Adviso? Give Zoho Creator a try.